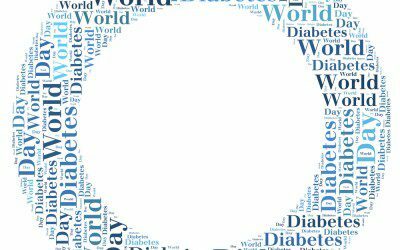 It’s that time of year again — with World Diabetes Day just a few weeks away, the University of Florida Pediatric Endocrinology & Diabetes Research Program is once again sponsoring the annual WDD Blue Circle Photo Contest. The blue circle is the global symbol for diabetes, established by the International Diabetes Federation in 2006 to “give diabetes a common identity” and provide a way of showing support in the fight against the condition. The contest invites individuals and groups to produce and photograph a “unique blue circle creation” with one or more blue circles in it to raise diabetes awareness. The circle can be worn, painted, filmed, posed, or included however the participants envision. Entries are due by November 14, with winners to be announced on November 20. Prizes will be awarded for first, second, and third place. For more information, and to download the official WDD Photo Entry Form and Photography/Video Consent and Release Form, visit the UF Diabetes Institute website.